Based on the Solvay conference, which gathers the leading scientists in the field, this monograph collects review articles from the six topics of the conference, while also including comments, discussions and debates obtained during the conference. and the authors add their personal views on the future of each of their own research areas. 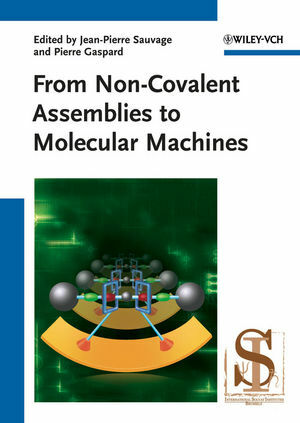 Novel reading for organic, inorganic and polymer chemists, as well as materials scientists. Jean-Pierre Sauvage performed his studies at the Ecole Nationale Supérieure de Chimie de Strasbourg where he obtained his PhD under the supervision of Prof. J.-M. Lehn in 1971. After post-doctoral research with Prof. M.L.H. Green in Oxford, UK, he went back to Strasbourg as a CNRS researcher. He founded his research group in 1980, became University Professor in 1981, and also CNRS Director of Research in 1988. Professor Sauvage is member of the French Academy of Science, Professor emeritus of the University of Strasbourg and currently a Distinguished Visiting Scholar at Northwestern University (USA). His research interest spans from artificial photosynthesis and electron transfer to porphyrin chemistry, molecular topology (catenanes and knots), and transition metal-based molecular machines. of Sciences, Letters and Arts of Belgium. He has organized or co-organized several international conferences, including the XXth Solvay Conference on Chemistry in 1995. Professor Gaspard has published more than 150 articles in the fields of theoretical chemistry, chemical physics, nonlinear dynamics, statistical mechanics, and thermodynamics.